The key to the reclamation of the land of Israel proved to be an amazing organization called The Jewish National Fund.35 It was established at the Fifth Zionist Congress in Basel, Switzerland in 1901. Its sole purpose was to acquire and develop land for Jewish occupation. 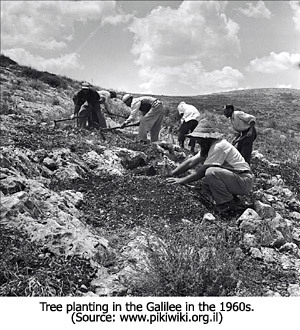 The conservation and distribution of water has also played a key role in Israel's reclamation of its land. The major need was to devise a method to transfer water from the Sea of Galilee in the north to the major cities in the south and to the Negev Desert in the extreme south. The result of all these reclamation efforts has been phenomenal. The land that was desolate at the beginning of the 20th Century is now the bread basket of the Middle East. The nation is now more than self-sufficient. It exports agricultural products to both the Arab countries of the Middle East and to the nations of Europe. 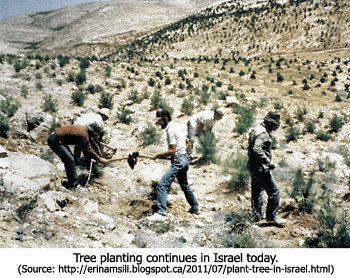 Today, Israel is focusing on the greening of the Negev Desert which constitutes 55 percent of the nation's land. 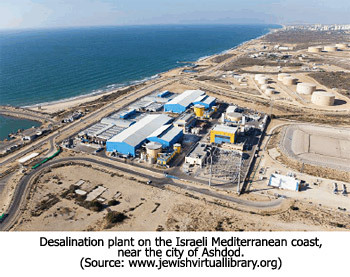 They have devised water conservation techniques to save the one inch of rainfall per year in the Negev. They have also genetically engineered plants to grow on the brackish water reservoirs that exist below the surface of the desert. The desolate land will be cultivated instead of being a desolation in the sight of everyone who passes by. They will say, "This desolate land has become like the garden of Eden; and the waste, desolate and ruined cities are fortified and inhabited." In like manner, can there be any doubt that the fulfillment of these prophecies indicates that we are living in the season of the Lord's return? Maranatha!